Brian Pape Horncastle, Colchester 1941. This is the story of one young officer from Chindit Column 8 and what became the small unit of men he commanded. The main bulk of the column had successfully forded the Shweli River by early April 1943 and had reached an area of forest a few miles south of the Irrawaddy River, Major Scott now studied the map in order to chose a suitable crossing point. 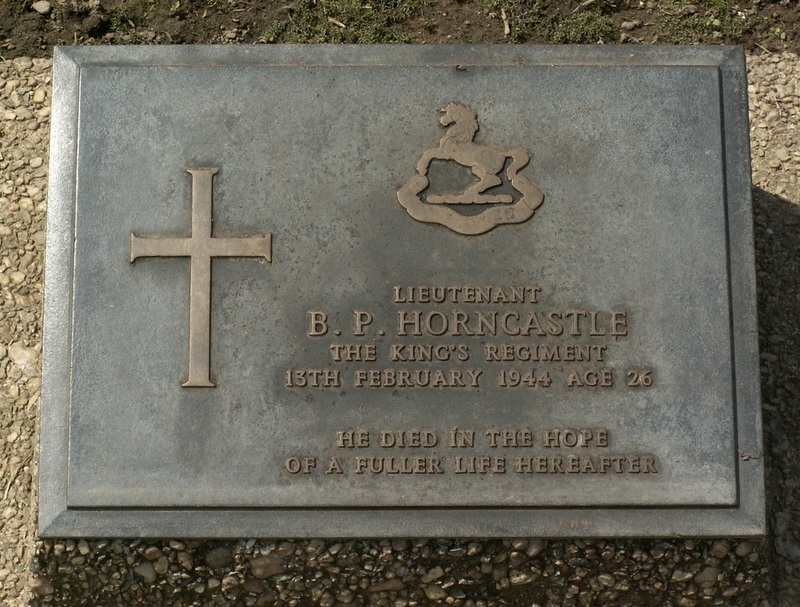 Before continuing this story, please let me introduce you to the officer in question, Lieutenant Brian Pape Horncastle of the 13th King's. Brian Horncastle was the son of Edward Winsor and Charlotte Mabel Horncastle and had been brought up in the Dorsetshire coastal town of Swanage. 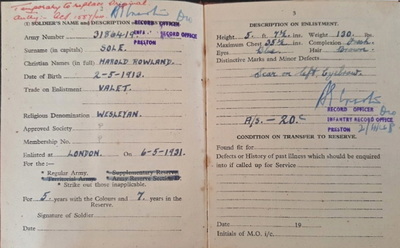 In 1938 he had joined HM Customs and Excise as a trainee officer and worked in this profession for two years before enlisting into the Army at the outset of the war. Brian was posted to the 13th King's on the 27th of October 1940 whilst the battalion was based at Felixstowe, performing coastal defence duties. After several further postings the battalion moved up to Blackburn in Lancashire and prepared for overseas duties, leaving the British Isles on 8th December 1941 and bound for India. The men travelled to Durban, South Africa, aboard the troopship 'Oronsay', once at Durban Brian arranged to meet his Aunt who had emigrated there a few years earlier. The men of the 13th King's, like so many before them, enjoyed the warm hospitality of the Durban town folk during their five day stop over before continuing their voyage to India. Let us now return to the Burmese jungle and continue the story of Column 8 as it settled down to bivouac a few miles south of the Irrawaddy River at a place called Nisan. Some of the men camped out near the forest rest house, these were wooden constructed buildings placed along jungle tracks and used by employees of the Forestry Commission as accommodation during the long treks between logging sites. Lt. Horncastle was still with the main body of Column 8 at this point and was enjoying a break from the seemingly endless marching. After reaching Nisan (also sometimes referred to as Misan or Mesan) he and his group had set up camp near a small stream or chaung. However, the Chindits location was soon given away by some local Burmese and a fierce firefight took place between a Japanese patrol and the men of Column 8. Several Chindit casualties were suffered from Japanese mortar and machine gun fire. Eventually Major Scott led his men westward to some higher ground and away from the Nisan Rest House area. "Reveille at 04.30 hrs. attempts were made to find Horncastle's party, but no contact made by 15.00 hrs. Column moved southward and reached the Nampa Chaung at dusk. Route very tough and jarring for the wounded and stretcher bearers. Conference of Officers agreed that a supply drop should be asked for, then for the Column to break up into dispersal groups before heading for the Irrawaddy once more. It is thought that Lt. Horncastle may have decided to move off as a separate dispersal party." 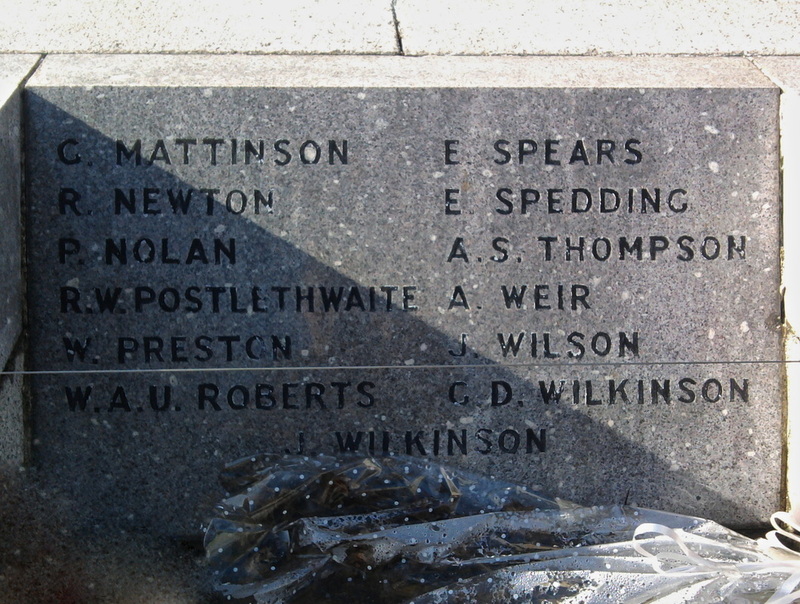 It is not known exactly what happened to the Recce party after that date, but from a series of witness statements given by other surviving members of Column 8 in 1943, it is known that many of the men became prisoners of war. This included Brian Pape Horncastle, who worked tirelessly whilst in Rangoon Jail trying to care for his ailing men in the makeshift hospital. Brian sadly died in February 1944 and was buried in the English Cantonment Cemetery. An explanation of Lieutenant Horncastle's death can be found in the personal memoirs of another Chindit POW from 1943, Lieutenant R.A. Wilding. "Brian was always a kind and helpful man and quiet about it too. He was troubled about the danger of jungle sores and experimented on his own body with carbolic. The sores became infected and gangrenous from which he died. All this happened while there was no Medical Officer available in Block 6." NB. 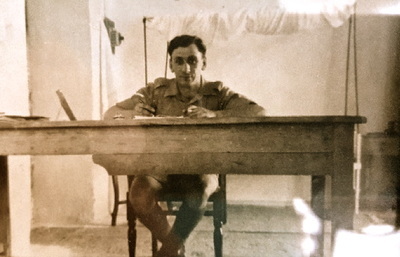 At that time the senior Medical Officer for the Chindits, Major Raymond Ramsay was still being held in a solitary confinement cell in another part of the jail. Most of the Chindits were suffering from a multitude of tropical diseases and other aliments, many succumbed to these afflictions before Major Ramsay was released from solitary confinement. 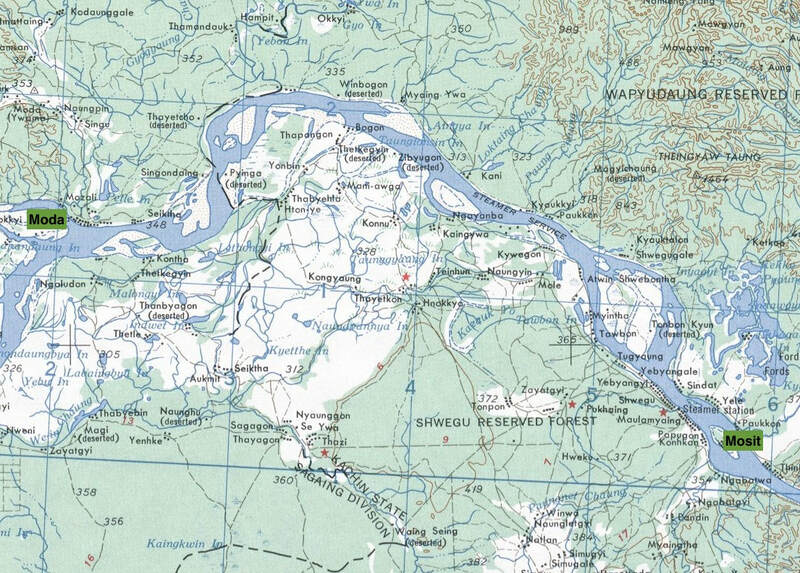 Seen below is a map of the area around Nisan and its close vicinity to the Irrawaddy River. 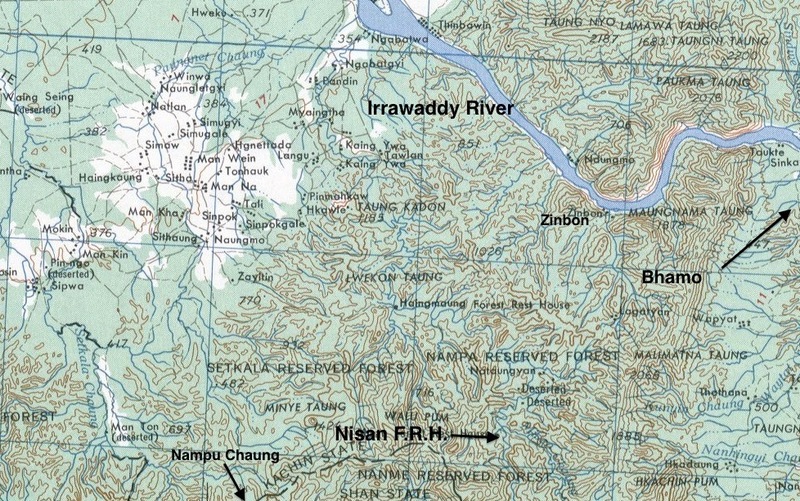 Map showing the Nisan Rest House location and Zinbon, the chosen Irrawaddy crossing point of Major Scott. ​Here is what I know about the rest of Lieutenant Horncastle's unit and their fate after the action at Nisan in April 1943. Sgt. 3777823 Samuel Anthony Quick. 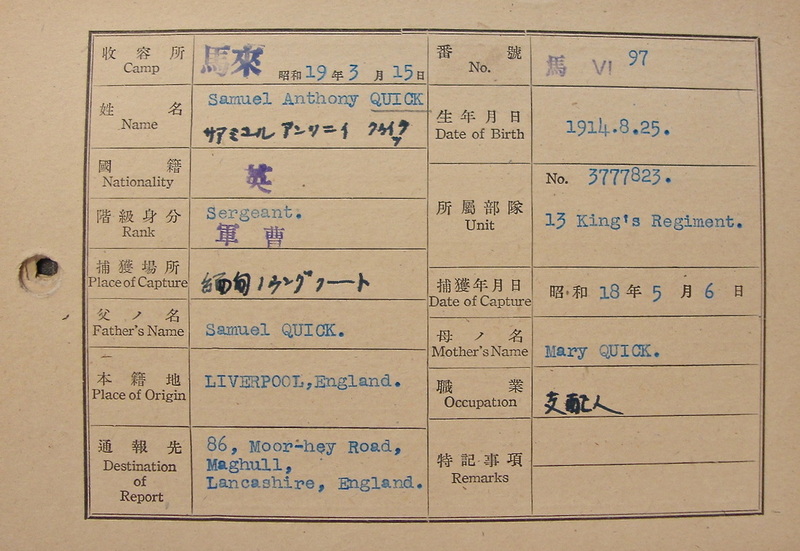 The son of Samuel and Mary Quick from Maghull in Lancashire. Originally a section leader in Lieutenant Rowlands' platoon during the engagement at Nisan, Samuel was ordered to attack the left flank of the Japanese patrol along with three other men: Lance Corporal Holland and Ptes. Yates and Prince. Nothing more was heard of Sgt. 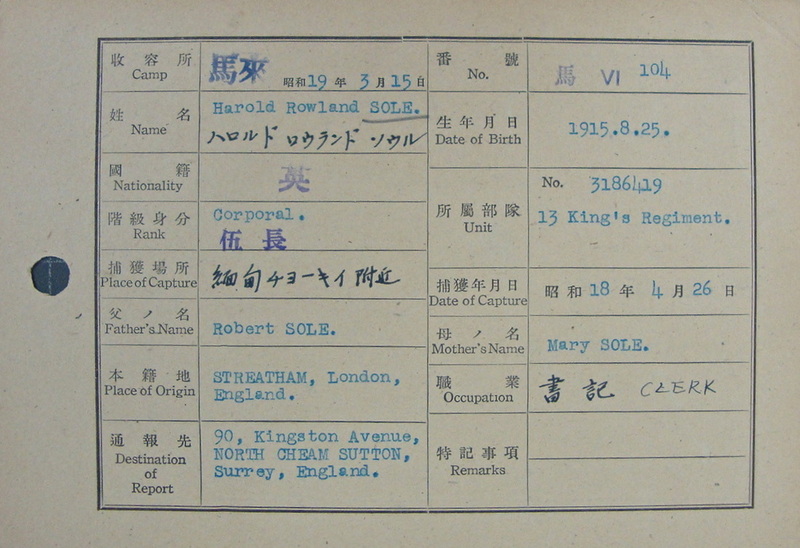 Quick until he was listed as being a prisoner of war after being captured by the Japanese on the 6th May 1943. His POW number was 97 and he was liberated from Rangoon Jail in May 1945 as part of the Pegu Marchers group (see this story on the Chindits POW page) and returned to the 13th Battalion who by then were stationed at Karachi, from here he was repatriated to the United Kingdom. Cpl. 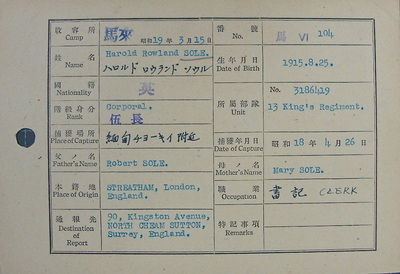 3186419 Harold Rowland Sole. 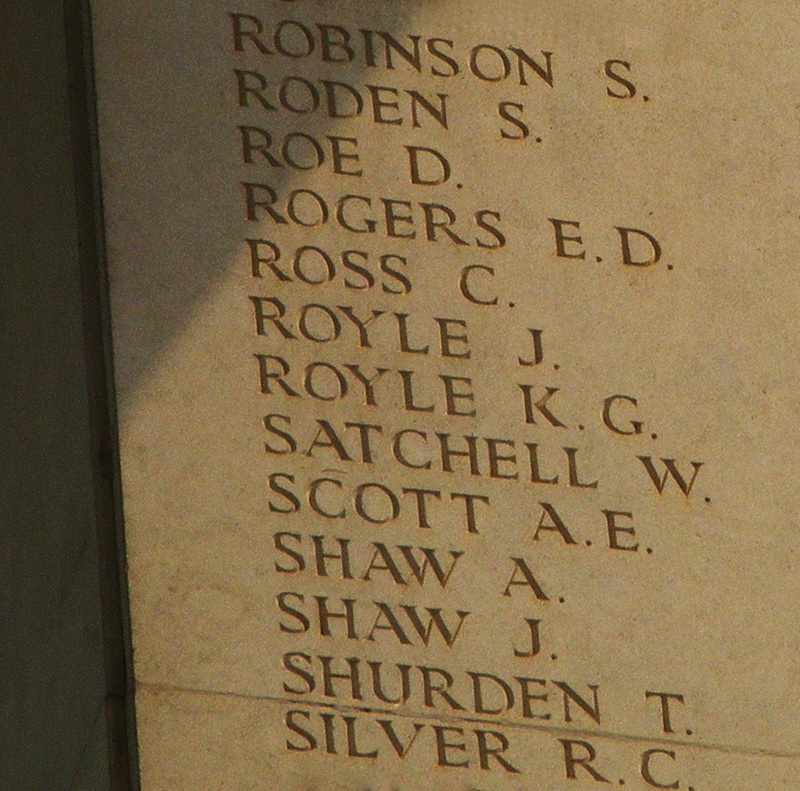 The son of Robert and Mary Sole from North Cheam in Surrey. A clerk in civilian life, Harold had begun his Army service with the King's Own Scottish Borderers in May 1931 and had fought whilst part of the B.E.F. in 1940 and was evacuated from the beaches at Dunkirk. In July 1940, he was part of a draft of KOSB's that joined the 13th Battalion, the King's Liverpool Regiment at their base in Newtown, Mid-Wales. In December 1941, Harold travelled to India with the 13th King's aboard the troopship Oronsay. Part of a section of men sent out by Captain Whitehead of the 2nd Burma Rifles to recce the area around the Misan Forest Rest House. Whilst this patrol was away the main Column was obliged to withdraw from the area and a patrol was left to guide Lt. Horncastle's party back to the rendezvous point. Neither of these two parties arrived at the RV although further patrols were sent to look for them and the Column remained in the general area for thirty six hours. Corporal Sole has not been heard of since. Cpl. 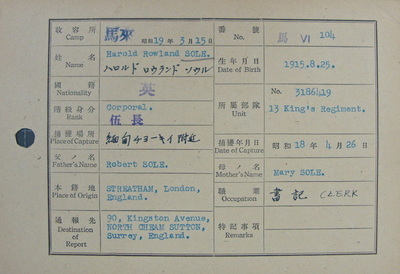 Sole was in fact captured by the Japanese on the 26th April 1943 and was held in Block 6 of Rangoon Jail with the POW number 104, until his liberation in late April 1945 as part of the Pegu March. 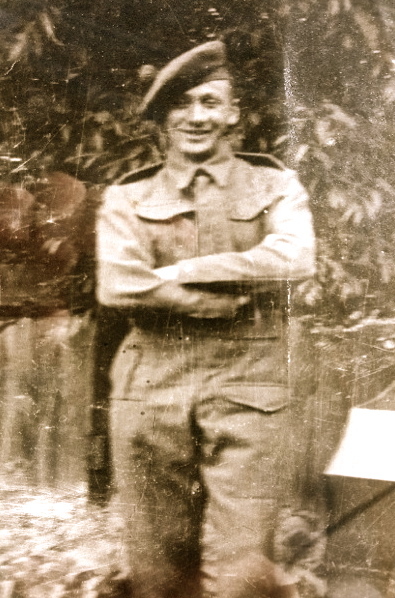 My Dad, Harold Roland Sole, but known to his family as Ron, was a captured Longcloth Chindit from the 13th Battalion of the King's. He sadly died 1982. Thanks to your work and website I found him on your photo showing the Regiment in India. He is in the third row from the top and seventh from the left. I have a few photos which I have framed along with his Army documents, also the reported missing letter and the returning home letter from King George. I think he was probably in 5 Column, but that is only based on some of your photographs which appear similar to the ones I have. This all came about as I have been putting together a sort of diary for my children and grandchildren. I wanted them to know about some of their ancestors. I was just going over some of the pages about Dad and by chance searched your website. I still can't believe my luck. I owe you a great debt for all your hard work in putting this information together. If you have any further details in relation to my father I would be most grateful. Thanks to your work, I have found out more in a couple of hours than I ever did from Dad, who never really spoke about his experiences in any detail. ​He was born and grew up in Streatham, South London, he was one of seven brothers and sisters and he attended some kind of military/naval training school as a young boy; I don’t know why, but he was unhappy there, which may have been because he missed his large family so much. Harold's father, Robert Sole obviously had a good sense of humour because he named all his children with an R prefixing their second names. My Dad hated the joke and obviously took some stick when in the Army, always telling me that sticks and stones etc. Needless to say I was called Brian William and my sister who was three years older than me, Brenda Mary. He joined the army at 16 by giving false information about his age and gave his date of birth as April 1913, when he actually was born in August 1915. He served with the King's Own Scottish Borderers for seven years during which time he was based in Calcutta, India for a good proportion of the time. He transferred to the Army Reserve in 1938 when his military conduct was recorded as Exemplary and was then called up in June 1939 when he rejoined the KOSB's. He was amongst the first of the B.E.F. to fight in France from October 1939 and he was evacuated from Dunkirk during May 1940. On 10th July 1940 he was part of a group of NCOs that joined the 13th Battalion, the Kings Regiment and on 5th December 1941 he went with the Regiment to India. He was reported missing on 12th April 1943 and I now know from your research that he was captured by the Japanese on 26th April 1943. 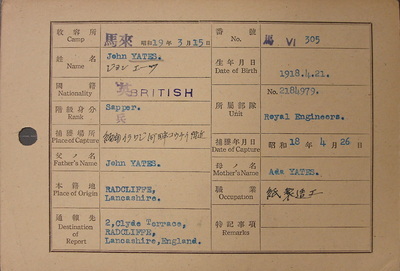 After two years in Japanese hands, on his release in 1945, he returned to England and he was registered as an Army Reserve Class ‘Z’ on 8th April 1946. He married my Mum, Doris, who was from Arundel, West Sussex in April 1947 and they lived there more or less for the rest of their lives. Dad worked for the Inland Revenue as a clerk and the first I ever knew about his time as a POW, was going on the F.E.P.O.W. trips to the Isle of Wight on a double decker bus and their yearly Christmas parties at Worthing. I think his sister, Lilly had a special fondness for him and rather admired her younger brother. His brother Dennis was also quite close. NB. 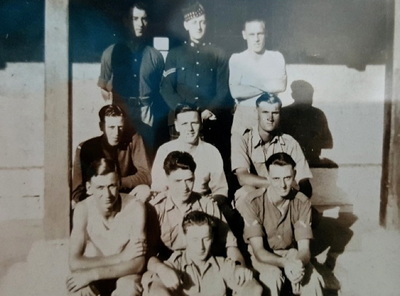 Like many of the other surviving Chindit POW's, Harold assisted the Army Investigation Bureau after the war, with information about men who were lost in 1943, or who had perished as prisoners of war inside Rangoon Jail. In March 1946, he sent the Bureau a letter containing details for ten other participants of Operation Longcloth. This letter forms part of the large gallery of images shown below. ​I knew he had been at the evacuation of Dunkirk and I knew about the Chindits, General Slim and Orde Wingate. He said that they were jungle trained with the prospect of going behind enemy lines, with the intention being to cause as much damage as possible. He said that the jungle was incredibly hard and he told me about the leeches and tablets for the treatment of the water. I could never get much detail out of Dad, especially about the exact circumstances of his capture or what he was doing at that time, although I believe he said they were holding up somewhere when the Japanese surrounded them and took them prisoner. I think he was with others at the time, although I haven’t checked the records to see if anyone else was captured on the 26th April from 8 Column. NB. From cross-referencing several capture dates, it transpires that Pte. 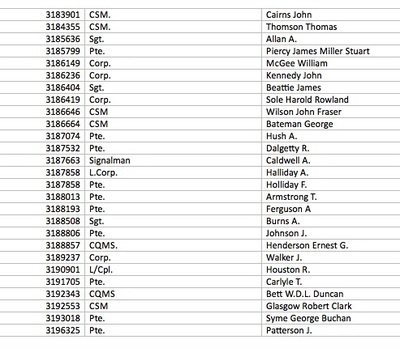 John Yates (see details further down this page), a Royal Engineer from Radcliffe in Lancashire, was also part of Lt. Horncastle's platoon within 8 Column and was also captured on the 26th April 1943. It is possible therefore that he was one of the men with Harold when the Japanese closed in. ​I know that in Rangoon he encouraged his comrades to keep fit and active, this I believe probably helped to keep him alive too. He told me about the way the stronger men would always be trying to help those who were suffering from dysentery or one of the other diseases, and that a lot of time was spent just trying to stay alive. He explained to me about the beri beri and said that it was incredibly painful and that lots of men died from it. He mentioned that a concrete block of some kind was dropped on his big toe, which probably explained why it bore a strange withered look in later life. Unfortunately, he didn’t tell me about the details of the march out to Pegu, or being in the jail, but he was always angry about the cruelty of the Japanese and the torture of kneeling on pieces of bamboo, or a pebble for hours as punishment for some minor misdemeanour. I know about the bowing and keeping low when near the guards and the beatings when you failed to act quickly enough. I know that afterwards he would never eat rice or rice pudding and I know he hated the Japanese even up until the day he died. 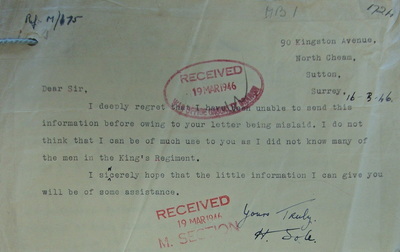 Taken prisoner by the Japanese whilst on the famous Chindit expedition with the late General Wingate, Corporal Harold Sole of the King's Regiment, has sent an overseas cablegram to his family telling them he is alive and well and will be home soon. This is the first news received about him since the expedition, and it has come at this momentous time as a tremendous relief and joy to those who have been so anxious about him. ​Corporal Sole was recalled to the Army during the summer of 1939 and served with the BEF in France, being evacuated from Dunkirk. His many friends in Streatham will be overjoyed to learn of his re-appearance in Burma. ​We became closest when I joined the Police in 1969 and began playing rugby. He would come to all the games, he was invited on the annual tours and was a popular person with the players and other supporters. He sadly died in 1982, having suffered a stroke and a heart attack. My sister, Brenda is unfortunately no longer with us and so cannot help out with any more information about Dad and my Mum passed away in 2007, so I'm afraid this is all the detail I can pass on. My wife, Gillian, two sons Matt and Ben and step daughter Annie are all fascinated by this revelation over the past few days, as are my nieces, Nikki and Cassie and I am documenting the whole story for them and my four grandchildren in order that these memories stay alive. Seen below is a gallery of images in relation to Harold Sole and his service within the British Army. These include photographs from his time with the King's Own Scottish Borderers and some of the documentation in regards to his experiences as a prisoner of war. I would like to take this opportunity to thank Brian Sole for all his help in expanding his father's story on these website pages. Please click on any image to bring it forward on the page. Corporal Smith and Pte. Royle were ordered by Lieut. Rowland to stay in a nulla (shallow ravine) and then guide Lieut. Horncastle in. Cpl. Smith was given the immediate RV details and told to wait until 1815 hours, after which time he was to make his own way back to the RV. I (Aubrey) asked him if he was quite clear as to his orders as he appeared a little confused. He replied that he understood and I then left him and Pte. Royle. The photograph of Sydney comes from the pages of the Manchester Evening News, dated Friday 8th June 1945. Sadly, the newspaper confirms his death whilst in Japanese hands. In regard to Sgt. Quick, L/Cpl. Holland and Ptes. Prince and Yates. We were ordered to attack by our platoon commander, Lieut. Rowland. Sgt. Quick taking the left flank with three men. As he was approaching his objective mortar fire was heard and burst in their immediate vicinity. This caused them to run further to the left where some cover was available. That was the last time I saw them. Search parties that went out after the engagement found no trace of any of the section. L/Cpl. 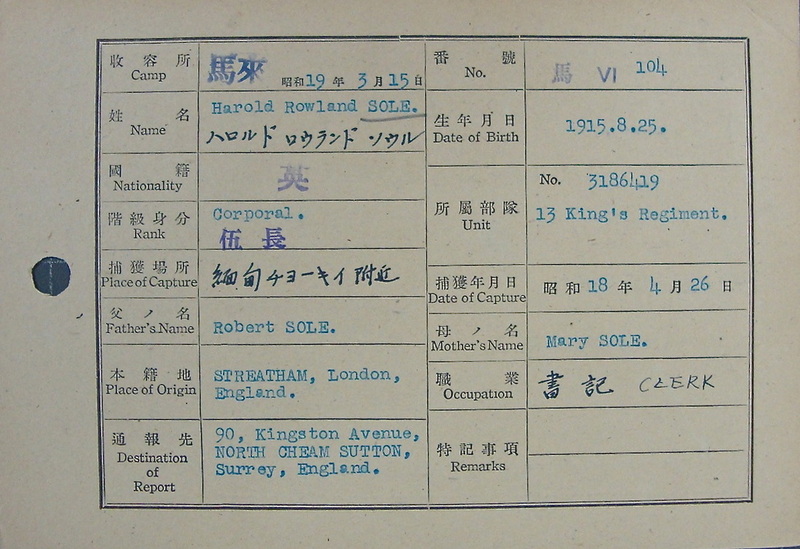 3781584 Joseph Holland, King's Regiment, Wingate Expedition, died in Japanese hands on October 7th 1943. News received on 6th June 1945. Sadly missed by his wife May and all the family. From the family archives of Pte. Jack Bromley, the second image shown below is of Joseph Holland, taken sometime in early 1942, possibly at the Secunderabad Cantonment swimming baths. Witness statement from Sgt. Aubrey in regards Sgt. Quick, L/Cpl. Holland and Ptes. Prince and Yates. (L-R). 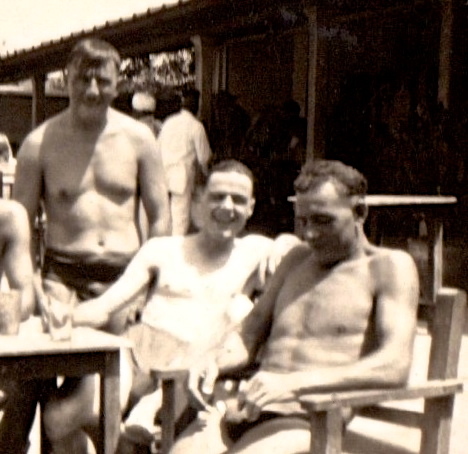 Frank Leavey, Walter Lawler and Joseph Holland at the Secunderabad Cantonment Swimming Baths. Lance Corporal 5569824 George Patrick Sullivan. The son of Patrick and Emily Sullivan from Cosham near Portsmouth. George was originally with the Wiltshire Regiment before being posted to the 13th King's on the 1st July 1942 from the town of Jubblapore in India. He was a member of 142 Commando and was placed in to Chindit Column 4 under the command of Major Newley of the Royal Engineers. Early on during Operation Longcloth Column 4 were attacked by the Japanese and the unit was broken up. 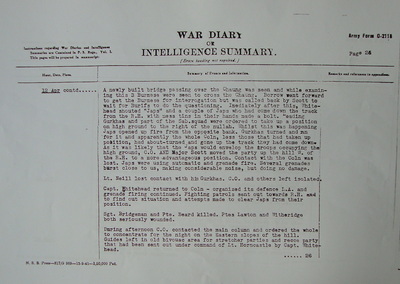 Some of the men returned to India, but a group led by Gurkha Officer, Lieutenant Stuart-Jones remained inside Burma and eventually met up with Column 8. L/Cpl. Sullivan was one of the men with Lieut. Stuart-Jones. Lance Corporal 5569824 George Patrick Sullivan of the 13th Kings Liverpool Regiment. Formerly the Wiltshire Regiment (unconfirmed, but service number is correct for that unit). A member of Chindit Column number 8, commanded by Major W.P. Scott. Missing in Action on 12/04/1943. Wounded at the Nisan Forest Rest House engagement with the Japanese. This was a location in a large Forestry Commission Reserve in Burma, very much like a National Park in Britain. 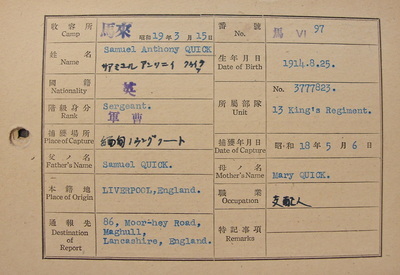 He became lost to his unit and was captured by the Japanese shortly after the 12th April. Died in Block 6, Rangoon Jail on 01/08/1943. Cause of death unknown. His POW number was 497. Buried originally at the English Cantonment Cemetery, with the grave number 77. All these graves were exhumed and re-located at what is today Rangoon War Cemetery. As you can plainly see, some of the details I gave to James back in 2010 proved to be incorrect. However, in my own defence, most of the new information concerning George Sullivan only came to light in the first few months of 2014, when the 142 Commando listings were discovered at the National Archives in London. 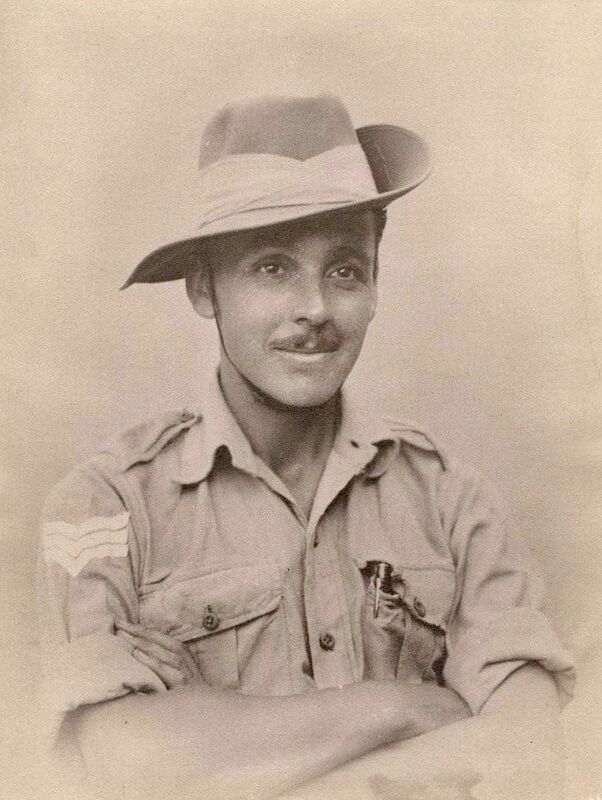 Lance Corporal George Sullivan, 23 and from Cosham, was serving with the 13th Battalion of the King's Regiment, a unit normally recruited from the Liverpool area, and the battalion played a major part in the first Chindit operation in Burma. Lance Corporal Sullivan was part of a patrol of eight men commanded by Lieutenant Stuart-Jones that set out from 8 Column, then near Pinlebu, to locate Brigade Headquarters on 6 March 1943. 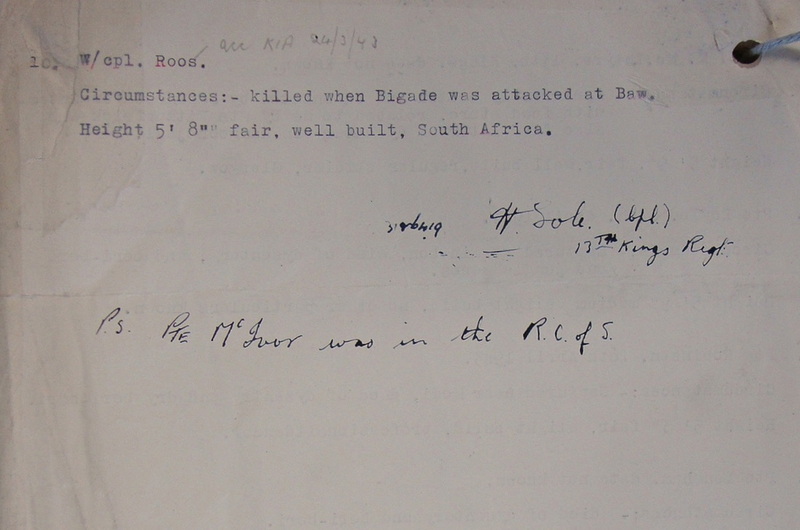 The patrol reported to Brigadier Wingate four days later, completely out of food and near to collapse. At this point Sullivan was ordered to join 142 Commando Company, a special unit under the command of Lieutenant Sprague, and attached to 8 Column, commanded by Major Scott. The 142 Commando had been trained as 'fighting saboteurs' by the famous 'Mad Mike' Calvert, who would later go on to serve with the SAS. The Chindits stayed in the jungle until late March before Wingate decided to withdraw. They had been fighting the Japanese continually and had often had to leave their wounded behind. Much of their time was spent clearing paths through the dense jungle with kukris and machetes, and of the 3,000 men who set off on the first Chindit expedition, 818 died. Those that returned had covered a total of between 1,000 and 1,500 miles, but only 600 were fit for further military service and it took many months for some of the survivors to return to British lines. Following an action on the Irrawaddy River on the 10th of April 1943, Lieutenant Stuart-Jones was ordered to take a patrol out to locate a party of men who had become lost in the jungle. 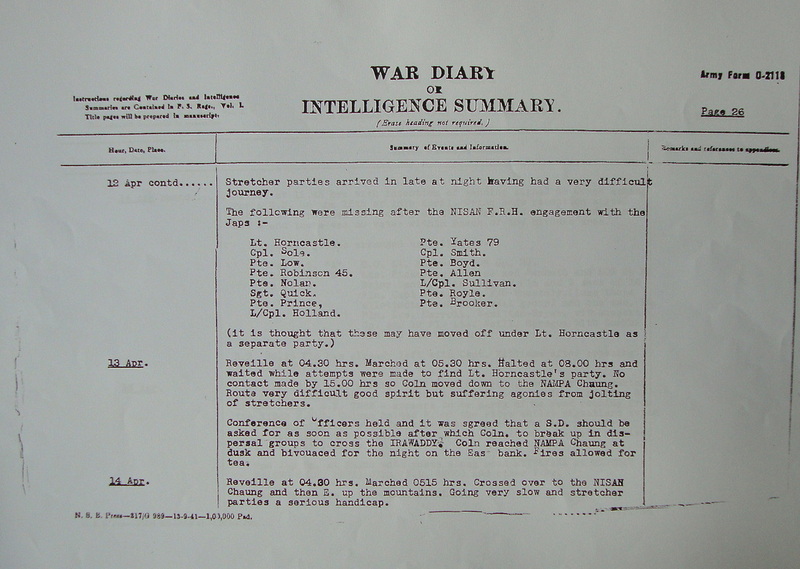 Stuart-Jones picked Sullivan as the only Englishman in his patrol, the rest being Gurkhas.The lost party were soon located, but one of their sections was itself out on a patrol to locate the main body. 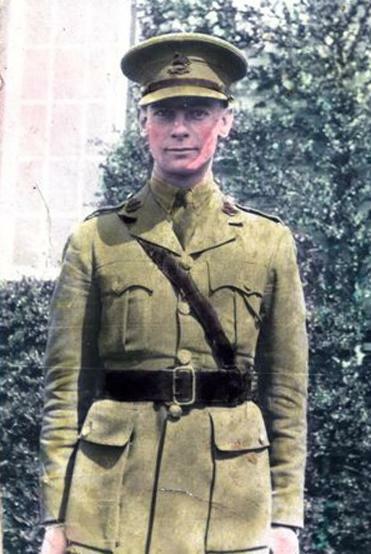 As the only English-speaking soldier, Sullivan was left behind to guide the missing party back while the rest of the patrol returned east. Neither Sullivan nor the missing party were ever seen again. 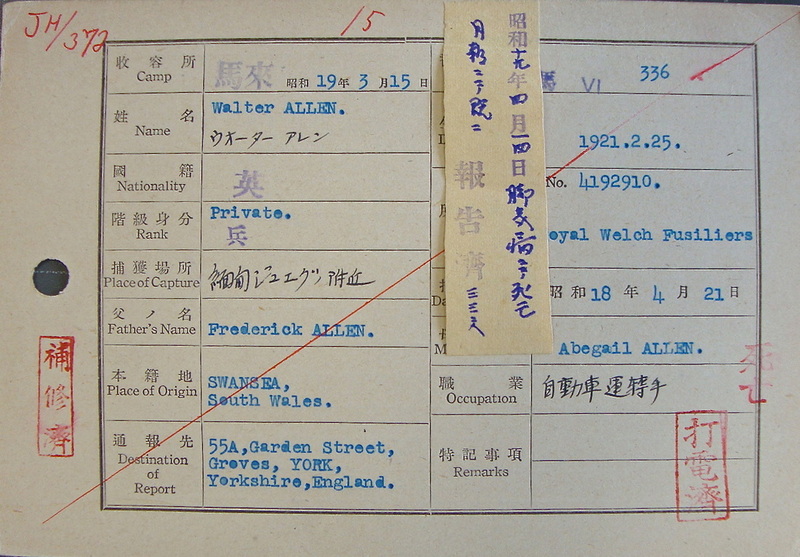 It seems that Sullivan was captured by the Japanese some time after 12th April 1943 whilst he was alone in the jungle, although the exact circumstances of his capture are unclear. We do know that he was held in Block Six of Rangoon Jail, where he contracted beriberi and as a result suffered from dystrophy, a muscle-wasting illness. The hospital at the jail was very poor, with no Medical Officer present for a long time, and sick men were simply laid out to die. 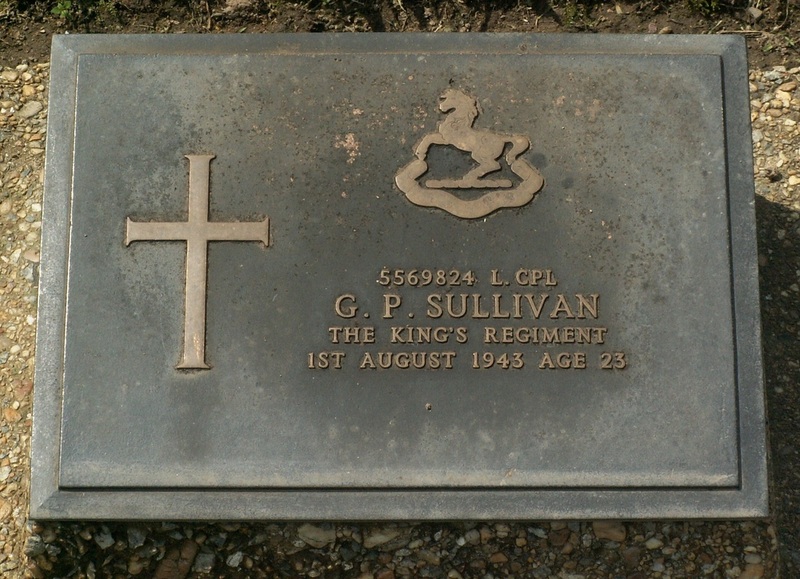 Sullivan died at 8.15 p.m. on the 2nd of August 1943, and was buried in Rangoon War (Cantonment) Cemetery near the jail. 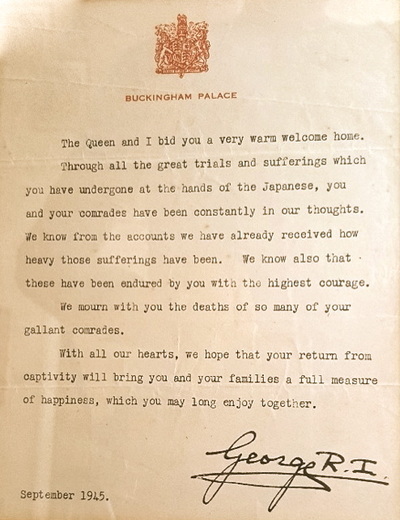 Perversely, while the Japanese captors treated prisoners extremely harshly when they were alive, men who died in captivity were afforded the utmost respect in death. It was only in 1945, almost two years after he had gone missing, that it was confirmed that Sullivan had been lost in the jungle, and only after the liberation of Rangoon was his grave discovered. Lance Corporal Sullivan was part of one of the most legendary British units of the Second World War, and had taken part in a significant feat of arms. Despite the huge losses, the principle of deep penetration warfare in the jungle had been proven and a much larger expedition was approved for 1944. Seen below is George Sullivan's grave at Rangoon War Cemetery, this photograph was taken by my brother in March 2008. George Sullivan's grave plaque at Rangoon War Cemetery. Pte. 5110034 Henry George Brooker. The son of Elijah and Anne Brooker and the husband of Eileen Mary Brooker from Tipton in Staffordshire. Formerly with the Warwickshire Regiment, Henry joined Chindit training at the Saugor camp on the 26th September 1942, where he was placed in to Column 8. 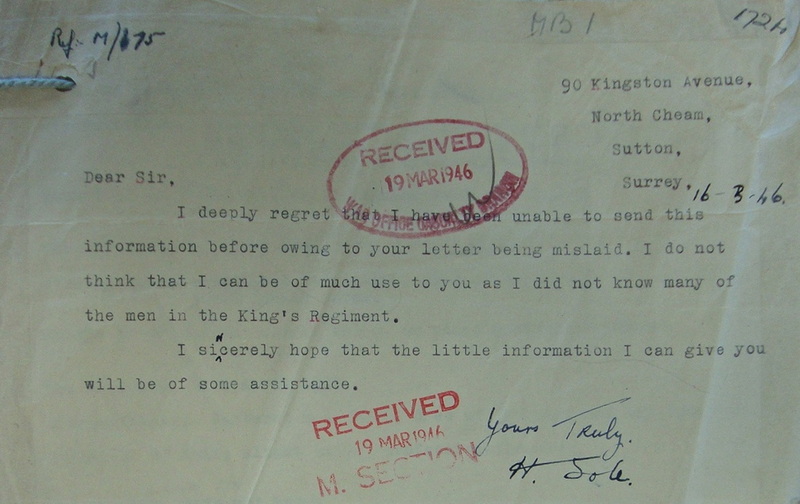 Sadly, very little is known about his fate after the engagement at Nisan, in fact, the only mention of Henry Brooker in any witness statements by surviving Chindits comes from Major Scott's own debrief, where he simply states that Pte. Brooker was no longer with his column on the 30th April 1943. Henry Brooker was listed as being a member of Lieutenant Horncastle's party, however, he could well have made it back to the main body of the column on the 12th April and continued with them on their journey to the Irrawaddy. According to the CWGC Henry died on the 1st May 1943, this date is condusive with Column 8's next major clash with the enemy at a place called Okthaik which took place on the 30th April. It is possible, but cannot be confirmed, that Pte. Brooker was killed, or died from his wounds as a result of this action. "Boyd was last seen at the Irrawaddy, where he attempted to swim the river. Cries for help were heard shortly after he entered the water." Pte. Boyd was given the 13th April as his official date of death, this I believe is simply the last time he was seen in 1943, as it would have taken him at least two days march to reach the Irrawaddy from Nisan. Fusilier 4192910 Archibald Walter Allen. Born in Swansea and originally a soldier with the Royal Welch Fusiliers, Fus. 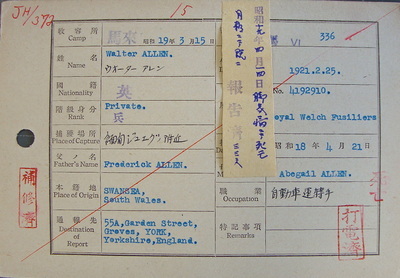 Allen was reported missing after the engagement at the Nisan Rest House on 12th April 1943. He was later captured by the Japanese on the 21st April, but did not survive his time as a POW, dying from the ravages of beri beri in Block 6 of Rangoon Jail. 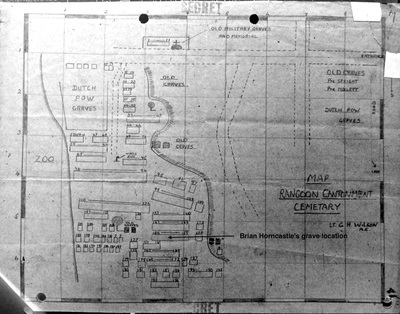 Archibald was buried in the English Cantonment Cemetery on the 14th April 1944. These soldiers and myself were members of the same section and were attached to No. 8 Column of the 77th Indian Infantry Brigade. On April 12th 1943 in the early hours of daylight and in the vicinity of the Forest Rest House at Nisan, between the Irrawaddy and Shweli Rivers, the Column bumped an ambush and a dispersal took place. Several hours later the Column re-formed, but Ptes. Allen and Boyd failed to re-appear and have not been seen since. I saw them get clear of the ambush and make their way into the forest, but they must have missed the main body. Part of a section of men sent out by Captain Whitehead of the 2nd Burma Rifles to recce the area around the Misan Forest Rest House. Whilst this patrol was away the main Column was obliged to withdraw from the area and a patrol was left to guide Lt. Horncastle's party back to the rendezvous point. Neither of these two parties arrived at the RV although further patrols were sent to look for them and the Column remained in the general area for thirty six hours. Pte. Low has not been heard of since. 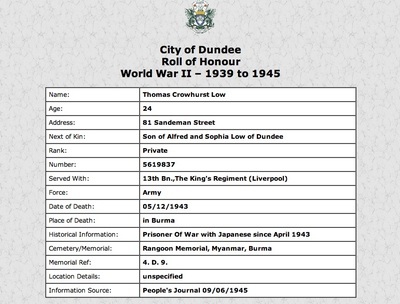 Thomas Low was captured around the same time as Corporal Sole and was taken to Rangoon Jail where he sadly died on 5th October 1943, his POW number was 446. As with the majority of men that perished inside Rangoon Jail, Thomas was originally buried at the English Cantonment Cemetery near the Royal Lakes in the eastern sector of the city. His grave was later removed and re-interred at Rangoon War Cemetery. Mr. and Mrs. A. Low of 81 Sandeman Street, Dundee, have received information that their second son, Pte. 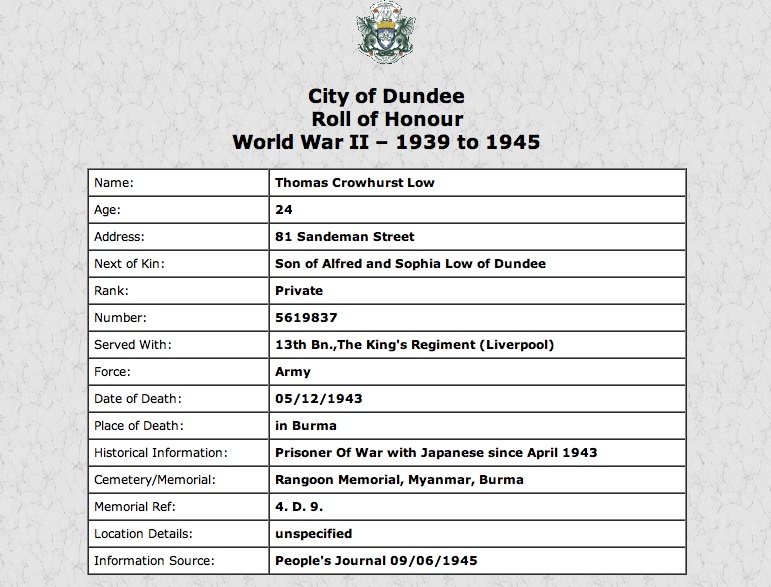 Thomas C. Low, the King's Regiment, has died as a prisoner in Japanese hands. He was captured in April 1943 and died in December of the same year. A former member of the Territorial pipe band, he was called up at the outbreak of the war and went abroad in 1942. He was previously employed with Baxter Brothers and was a former pupil of Liff Road School and Rockwell Central. 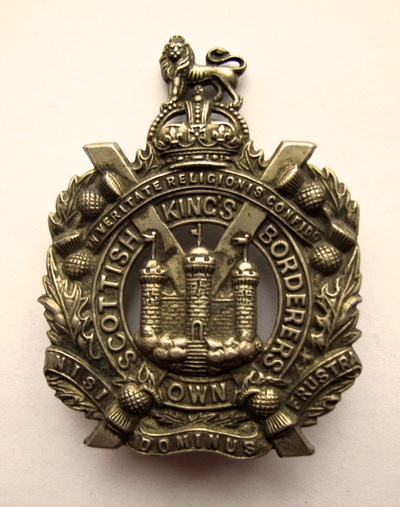 He was also a member of 6th Company (Lochee) Boy's Brigade. 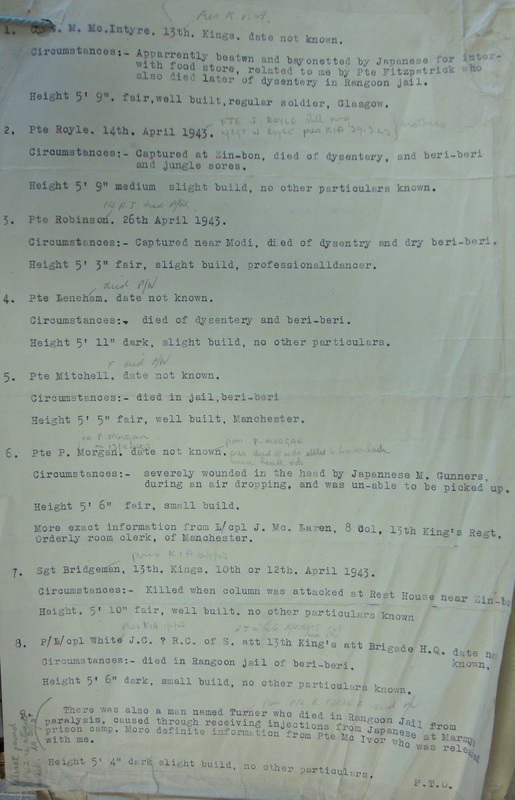 Below are some images in relation to this story, including three pages from the 8 Column War Diary describing the events of the Nisan Rest House engagement. Also shown are two of the pertinent witness statements relating to some of the men and a photograph of Lieut. Brian Horncastle shortly before he went into Burma. Please click on any of the images to bring them forward on the page. Pte. 3779299 Patrick Nolan. 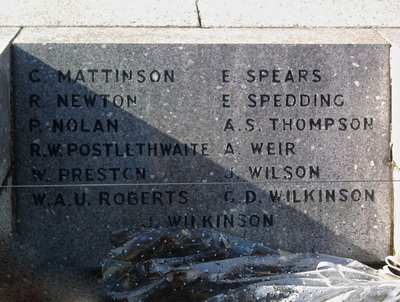 The son of Peter and Mary Nolan from Egremont in Cumberland. In June 2014 a fellow researcher, Michael Deacon contacted me in relation to Patrick Nolan's time in Burma in 1943. Michael had been in contact with a member of the Nolan family who was trying to ascertain what had happened to his Uncle back in World War Two. 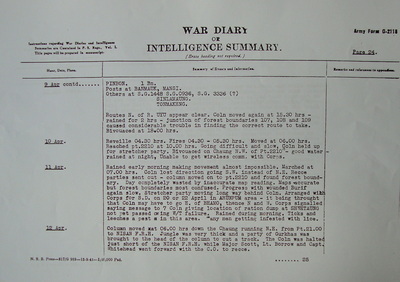 Unfortunately, there is no individual witness statement available for Patrick Nolan, however, he is mentioned in the Column 8 war diary as being part of a break away group from that unit in 1943. Judging by his service number, Patrick was an original member of the 13th Battalion that embarked for India aboard the troopship 'Oronsay' on 8th December 1941. He was in D' Company and this automatically placed him into Chindit Column 8 for training and on the operation proper, this unit was commanded by Major WP. Scott. On March 29th 1943 the Column attempted to cross the Irrawaddy on the return journey to India, this crossing was contested by the Japanese and the column failed to make it across and turned around, heading south-east. The next obstacle was another river, the Shweli, after various attempts to cross, they eventually succeeded on or about 2/3 April. The column now head north-east and once again aim for the Irrawaddy which meanders, much like the Thames does near Richmond, forming a natural bag shape of land, surrounded on three sides by water. On 12th April they reach a place called the Nisan Forest Rest House (sometimes called Misan or Mesan), in Burma there are hundreds of half-way houses dotted throughout the jungle, these are for travellers to use as stop overs on long journeys. The column forward party were surprised by a Japanese attack at this point, the column is split for a while, with a small group becoming isolated and casualties are incurred. Most of the column move up the Nampa Chaung (small stream) and wait for the Japanese to be cleared out of the area. Patrick is still with this main group. Later on on the 12th a Recce party is sent out under the command of Lieut. Horncastle, Patrick was a member of this group. 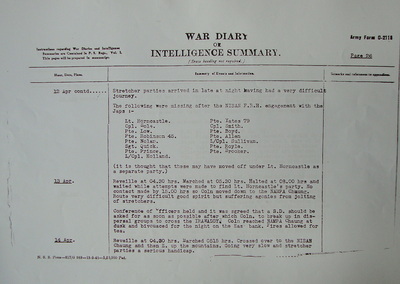 Horncastle's men did not make the next rendezvous and became lost to Column 8. Early on the 13th, Major Scott sent out patrols in an attempt to locate Hornacastle's party, but they cannot be found. He surmisies that Horncastle will take his group back to India under their own steam and Column 8 prepare to disperse. I believe that Lieut. Horncastle decided to head straight for the Irrawaddy that evening and his party were attacked by the enemy at some point the next day. On the 14th April Column 8 break up into small dispersal units of 25-30 men and begin their journey back to India. Of the men named in Lieut. Horncastle's party, some, like Patrick have a date of death around the immediate timescale. Some are taken prisoner of war, while others seem to still be at large in the Burmese jungle for some days, before eventually becoming prisoners of war. It seems very likely to me that the group were attacked by the Japaense quite quickly after leaving the main column, with some immediate casualties and prisoners being taken, whilst other men escaped the scene only to be captured later on. Of course, this is only my guesswork. 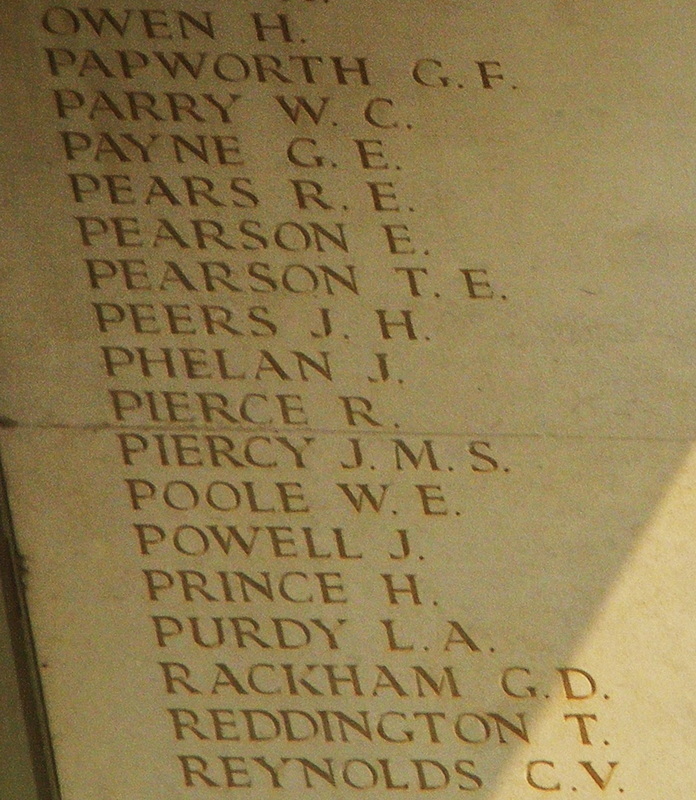 I have not checked the full list yet, but most of the POW's including Horncastle perished in Rangoon Jail. I will collect all the relevant documents and images for you and email them over at some point soon. I hope this will be of interest to the family. 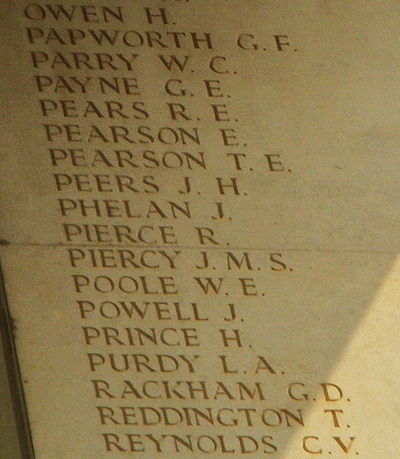 According to his CWGC details, Harry Prince died on the 6th May 1943, this would suggest that he and the men in Sgt. Quick's section did indeed elude the Japanese at Nisan, but had been captured or killed after two weeks alone in the Burmese jungle. In the gallery below there are some more images in relation to the men from Lieutenant Horncastle's party. Please click on any image to bring it forward on the page. Pte. 3968445 Albert John Robinson. Originally a soldier in the Welch Regiment, Albert joined up with the 13th King's once the battalion had reached India. 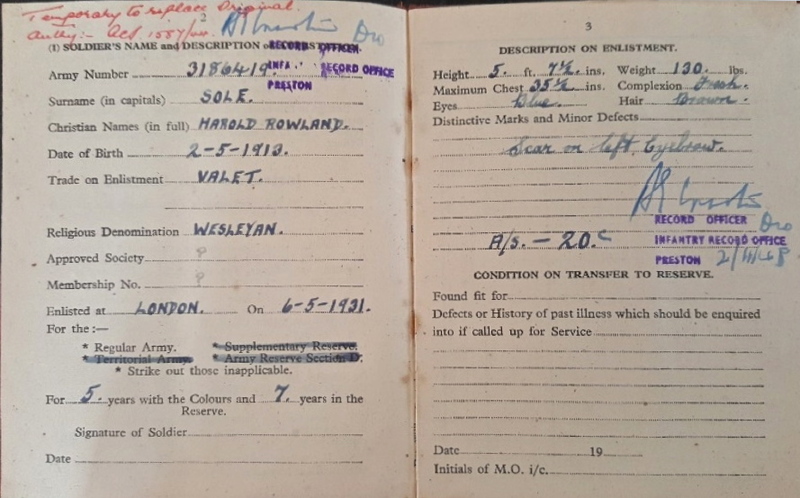 Described as short in stature and a professional ballroom dancer in civilian life, he was part of the section of men led by Corporal Sole as mentioned earlier in the witness statement made by Captain P. A. Bennett. Albert was captured on the 26th April 1943 at a village named Modi. It seems likely that he had made the Irrawaddy River and crossed over before he was eventually captured by the Japanese heading in a north-westerly direction. Albert did not survive his time as a prisoner of war, he died in Block 6 of Rangoon Jail suffering from both dysentery and beri beri. Pte. 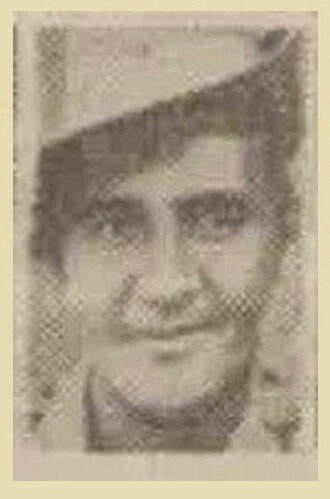 Robinson's POW number was 467, he was buried at the English Cantonment Cemetery on the 15th November 1943. Corporal Smith and Pte. Royle were ordered by Lieut. Rowland to stay in a nulla (shallow ravine) and then guide Lieut. Horncastle in. Cpl. Smith was given the immediate RV (rendezvous point) details and told to wait until 1815 hours, after which time he was to make his own way back to the RV. I (Aubrey) asked him if he was quite clear as to his orders as he appeared a little confused. He replied that he understood and I then left him and Pte. Royle. Pte. Royle was brought in to Bhamo Jail during the month of April 1943, he was in a very bad condition. Eventually the Japs decided to move all the Chindit POW's from Bhamo down to Rangoon. All of us left together, all of us except poor Royle who was unfit to travel. We never saw him again. The date of death given by the CWGC for John Royle is 1st June 1943, this date is consistent with those men who were taking prisoner in 1943, but who never made it to Rangoon Jail. Pte. 2184979 John Yates. The son of John and Ada Yates from Radcliffe in Lancashire. Pte. Yates was a Royal Engineer attachment for Column 8 on Operation Longcloth. He developed an expertise with the grenade launcher on the operation using the weapon with great effect against the Japanese on several occasions. Pte. J. Yates was a member of the section under the command of Sgt. Quick, which went missing after attacking the enemy at the Nisan Forest Rest House. They were all members of Lieutenant Horncastle's party which did not return from a recce patrol. I remember Sgt. Aubrey telling Yates to hurry up or he would miss the rendezvous with Sgt. Quick. Pte. Yates is also mentioned in the two witness statements seen already in the is story, one given by Sgt. Aubrey and the other by Captain P.A. Bennett. 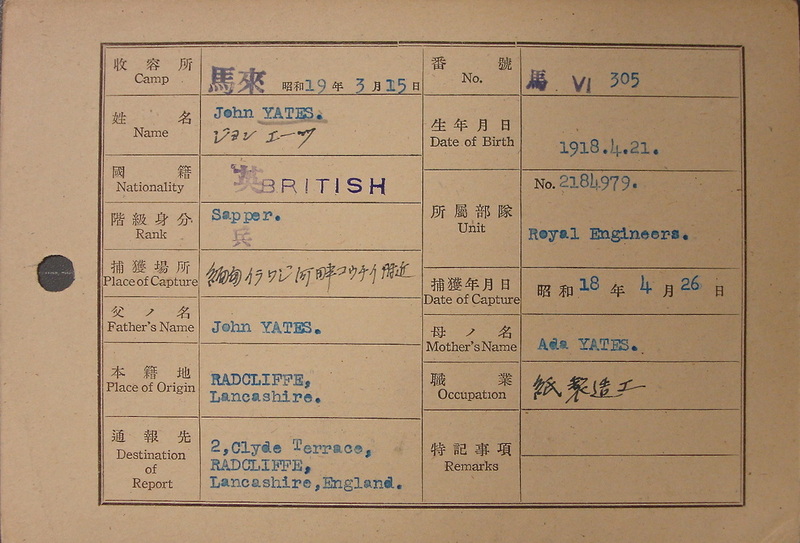 Yates was captured by the Japanese on the 26th April 1943 and spent two years in Rangoon Jail, his POW number was 305. 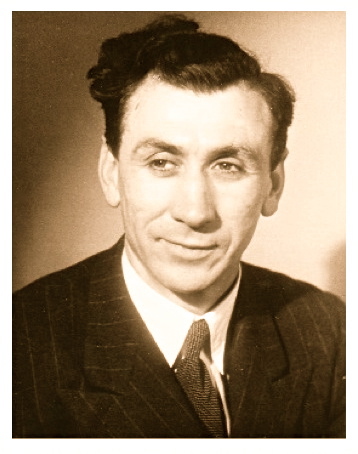 John Yates was liberated in late April 1945, as part of the Pegu Marchers group and was flown back to India by an RAF Dakota shortly afterwards. Seen below are some more images in relation to the men from Lieutenant Horncastle's party. Please click on any image to bring it forward on the page. Within a few weeks of this story being published online, I was thrilled to receive an email contact from Brian Horncastle's younger brother Robert. Here is what Robert had to say, and what further information I was able to give him about his brother and his time in India and Burma during the years of World War Two. I am the younger brother of Brian Horncastle, who led the recce patrol at Nisan. We in his family were never really able to find out what had happened to him whilst he served in Burma, but thanks to your website, we now know. I would like to know if there was anything else you found out about him during the course of your research, information that might help us understand more about his war service. Thank you for your contact email via my website. I was very pleased to receive your email today, Brian has always been one of my most favoured men from Operation Longcloth, mainly because he tried so very hard to make sure his men were cared for, both during the operation and after they were captured in April 1943. One thing you can be most certain of, is that he was well respected by his fellow officers and well loved by his men. Most of what I know about his time in India/Burma is written in the story you have read on my website. There is also some more information about him on the POW page, linked here: http://www.chinditslongcloth1943.com/chindit-pows.html. The information is a little way down the page after the Roll of honour. During my initial searches on the internet I found him mentioned in the London Gazette pages for August 1938, which shows his work placement as a Customs and Exercise Officer. Brian joined the 13th King's at their barracks in Felixstowe on the 27th October 1940, he was a 2nd Lieutenant. He stayed with the battalion for the next year or so and travelled with them to India aboard the troopship, SS Oronsay on the 8th December 1941. His friends in the 13th King's included Graham Hosegood the battalion Intelligence Officer and Captain Leslie Cottrell who ended up as second in command of Chindit Column 7. Brian took both these men to see your Aunt in Durban when the troopship docked in South Africa. In June 1942, Brian was in charge of the battalion's train journey from Secunderabad to the Chindit training camp in Patharia which was in the Central Provinces of India. As you know he was with Column 8 in 1943 and all the information about his time in Column 8 features in my website article. His POW number was 479 and that he died in Block 6 of Rangoon Jail on the 13th February 1944. He was buried in the English Cantonment Cemetery in the eastern part of city. After the war was over all these graves were moved to the newly built Rangoon War Cemetery, which is where he lies to this day. His original grave was recorded as No. 153 at the Cantonment Cemetery. You will read on the POW page from my website, that a Gurkha Rifleman, who was recovered in 1944 by the second Chindit Operation, gave a witness statement that he saw Brian and another officer, Edward Hobday, taken prisoner in 1943 and that these men were flown down to Rangoon by aeroplane. This is the only instance I have come across where men have been transported to Rangoon by plane, most of the Chindits travelled down to Rangoon by train from Mandalay and were herded into cattle-trucks for the journey. Sadly, Lieutenant Hobday did not survive long enough to enter Rangoon Jail. On my travels whilst researching the Chindits of 1943, I have met two men who knew Brian whilst they were all POW's in Rangoon Jail. Both Denis Gudgeon and Alec Gibson told me that he was a perfect gentleman and had tried so hard to keep his men alive in the jail. There were no medical supplies or doctors in Block 6 and as a consequence many men died. Brian ran the makeshift hospital for several months until Major Ramsay of the RAMC was released from solitary confinement and took over. The two veterans also told me that Brian had been the driving force behind the Block's Sunday service and encouraged the singing of hymns to keep the prisoner's spirits up during those dark days. I think that is all I can tell you Robert. I hope that it will help you build a better picture of what happened to your brother in WW2. He was undoubtedly a very kind and brave man and you should be exceedingly proud of him. Please let me know that you have received this email and can open all the attachments. Your reply to my email is most helpful and very prompt. Thank you very much. I will need some time to sort it all out. I am the only survivor of we four brothers. Only Brian died during the war through enemy action, my other two brothers by old age. 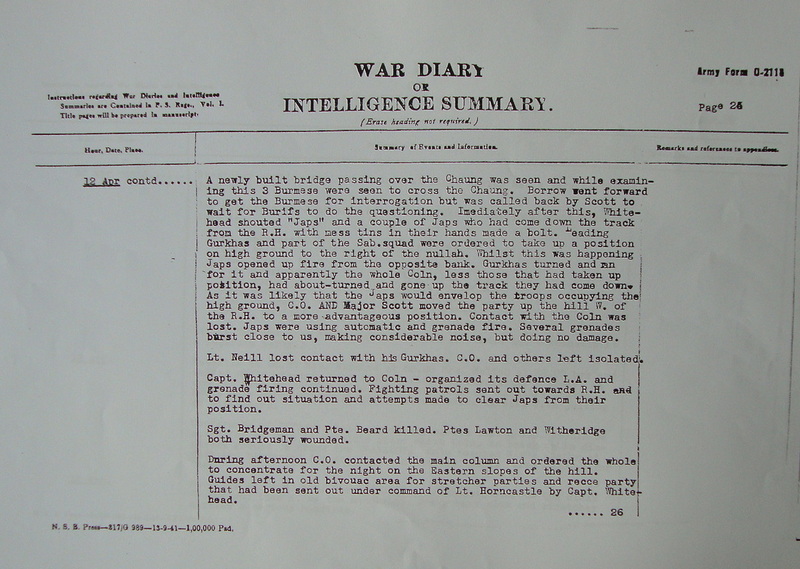 Reading your report, I can now remember my parents telling us that a colleague of Brian's had called at their Swanage home after the war and related what they knew of Brian's Burma war. I will contact you again if I may, especially if I think of something else for which you might know the answer. Three of the additional images mentioned in my response to Robert Horncastle's email contact can be seen below. Firstly, Lieutenant Brian Horncastle's entry on the list of deaths for Block 6 in Rangoon Jail, showing his POW number 479, his Army service number, date of death and the grave reference for his burial at the English Cantonment Cemetery. 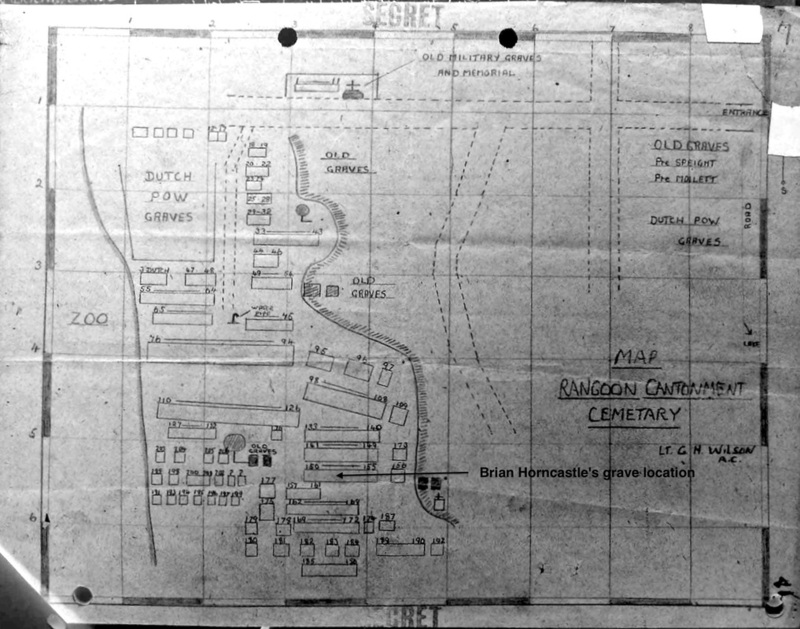 The second image is a map of the Cantonment Cemetery, displaying the location of the numbered plots for burials. 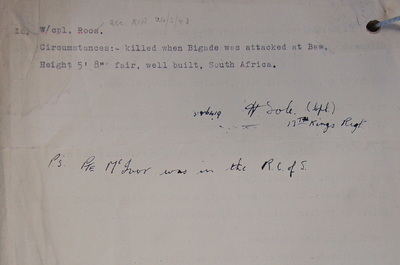 Lastly, the witness statement confirming the POW status of Lts. 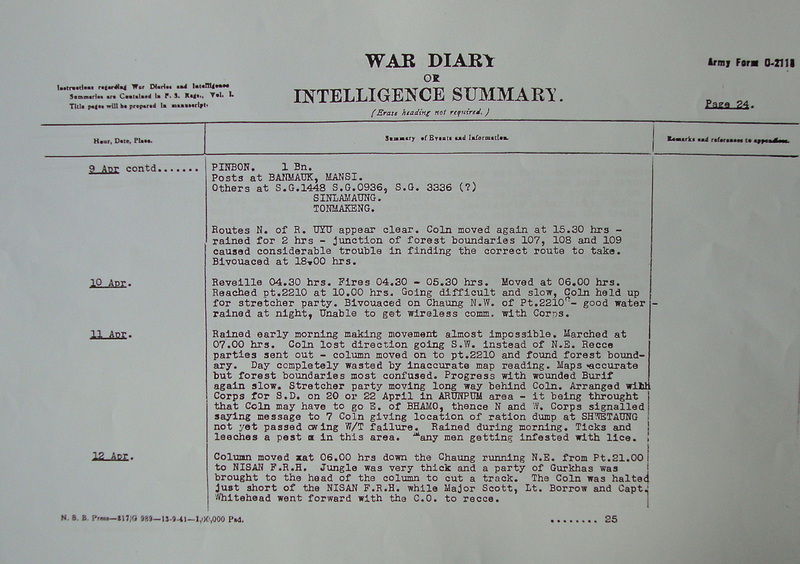 Horncastle and Hobday, as recorded in the 77th Brigade War diary on 28th June 1944. Please click on any image to bring it forward on the page. After being ambushed by the Japanese on the 26th April, we were moved to the village of Mosit, which sits on the Irrawaddy, we were then transported west by boat to the village of Moda. Here I found Lt. Horncastle from 8 Column, alongside eight other Chindits, including one Burrif and two Gurkhas. I was delighted to hear from Hokey (Brian's nickname), that Colonel Cooke and a few sick and wounded men from 8 Column had been flown out aboard a RAF DC-3 and that news had arrived confirming that both Fergie's (Major Bernard Fergusson) and Denny Sharp's parties had reached the safety of India. A couple of weeks later the majority of the men were preparing to leave for Rangoon by rail. For some reason, possibly that the Japs thought they were full of information due to their appointments, poor old Hokey and Lt. Rose were retained at Maymyo and I have not seen them since. Perhaps this piece of the jigsaw gives some credibility to the report that Horncastle was eventually flown down to Rangoon in the company of Lt. Edward Hobday some weeks later. Seen below is a map showing the captured Chindits journey from Mosit to Moda on the Irrawaddy River in late April 1943. The river journey taken by Tommy Roberts and Brian Horncastle in late April 1943, from Mosit to Moda on the Irrawaddy. Copyright © Steve Fogden September 2014.